The Fusion Contemporary Side Chair from Armen Living gives the illusion of floating suspension while offering strength and support. A generously padded leatherette-upholstered back and seat sits effortlessly atop a simple yet functional brushed stainless-steel base. Ridges along the seat and back give this chair some added definition. Give your living and dining space or office a dramatic new modern look with the Fusion Contemporary Side Chair. What is the actual seat height? 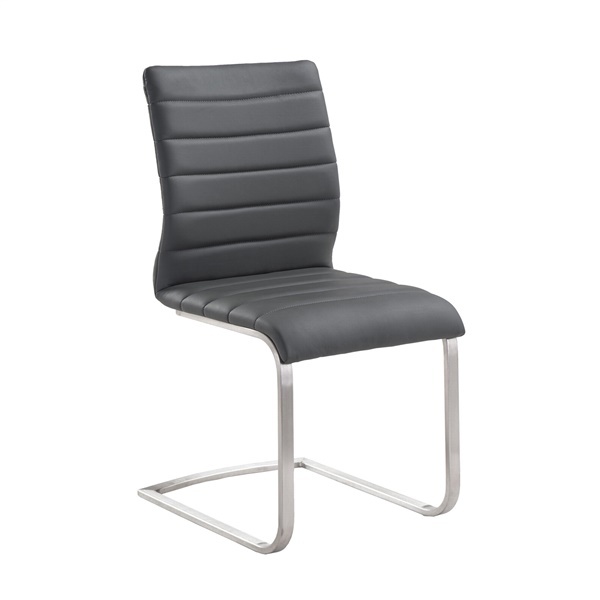 The seat height for the Fusion Contemporary Side Chair is 18".